If you are college-bound or already enrolled, experts say it’s worth investing the time to investigate scholarship opportunities, even if you think you may not be eligible for most opportunities. According to a recent study, more than a third of college costs in the U.S. were covered by scholarships and grants in the 2015-2016 academic year. “Scholarship money doesn’t have to be paid back, and it can significantly reduce out-of-pocket college costs for families,” said Martha Holler, senior vice president at Sallie Mae, who also points out that scholarships are not just for star football players and valedictorians. “Have a passion for designing greeting cards? There’s a scholarship for that! Interested in helping people understand the perils of texting when driving? There’s a scholarship for that too,” said Holler. • Be thorough. Don’t overlook smaller scholarships. Even a few hundred dollars can help offset the cost of textbooks and supplies. • Be proactive. Apply for scholarships every year. 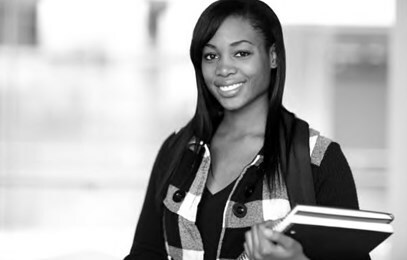 Approximately 50 percent of available scholarships are for students already enrolled in college. • Be diligent. Pay attention to details. Follow instructions and proofread carefully. • Be on time. Meet deadlines. If an application can’t be submitted electronically, use certified mail. Stay organized and ahead of deadlines by using automated calendar alerts. • Be careful. Never pay for scholarships or for scholarship searches. School counselors and school financial aid offices can recommend reputable options. One such site is Scholarship Search by Sallie Mae, a free scholarship search tool that is home to five million scholarships valued at $24 billion dollars. The tool responds with matches that identify relevant scholarships and their award amounts, application requirements, and deadlines, and it automatically sends updates when it identifies new matches. Those who register are automatically eligible to win the Plan for College Sweepstakes, which awards $1,000 each month to a winner selected at random.